One of the most well-known compact cars in existence, the Toyota Corolla is synonymous with success, versatility, and value. Not only can you find these attractive traits in the signature sedan configuration, but they’re also available in the five-door variant, which has been fully redesigned for the 2019 production year. The all-new 2019 Toyota Corolla Hatchback is available in two trim levels, SE and XSE. 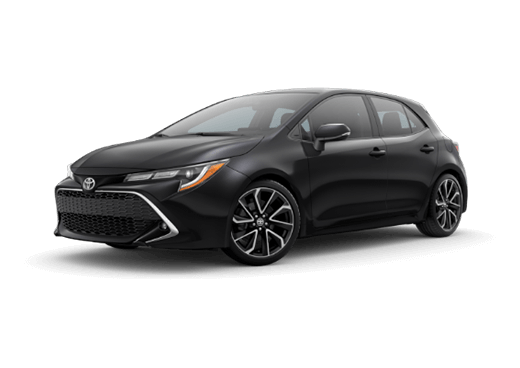 While there are distinct advantages to both options, all models of the 2019 Corolla Hatchback embody the same captivating characteristics: fantastic fuel economy, state-of-the-art features, and sublime safety systems. 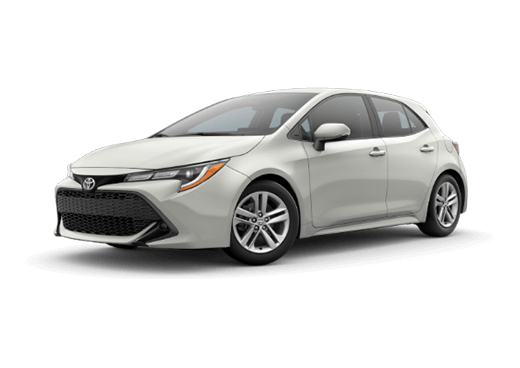 As estimated by the EPA, select models of the 2019 Toyota Corolla Hatchback can achieve up to 32 city-mpg, 42 highway-mpg, and 36 combined-mpg. For these top-tier ratings, one will want to opt for a 2019 Toyota Corolla Hatchback SE, which has been equipped with a continuously variable transmission. As lovely as next-level gas mileage may be, it is just the beginning of what the 2019 Corolla Hatchback has to offer. 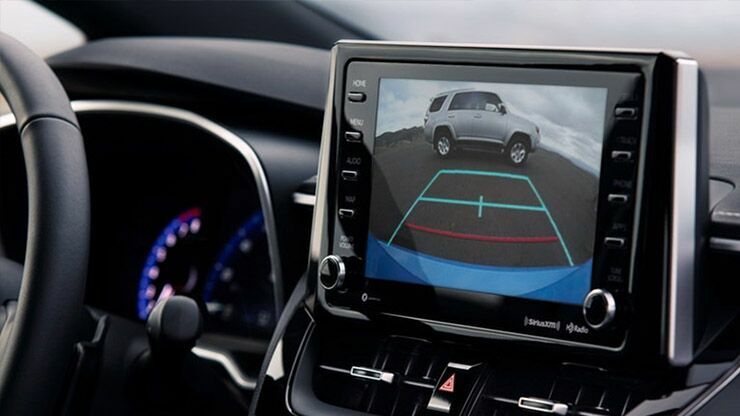 In addition to its safety features, the 2019 Toyota Corolla Hatchback is home to many must-have multimedia systems. 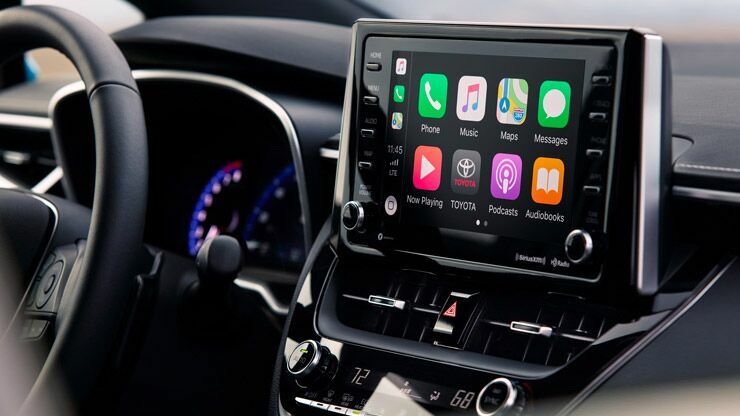 Wherever you go in your all-new Corolla Hatchback, you will be bringing the following features with you: advanced voice recognition, an eight-inch touchscreen interface, Bluetooth®, Apple CarPlay™, Wi-Fi Connect Powered by Verizon, Siri® Eyes Free, and more. 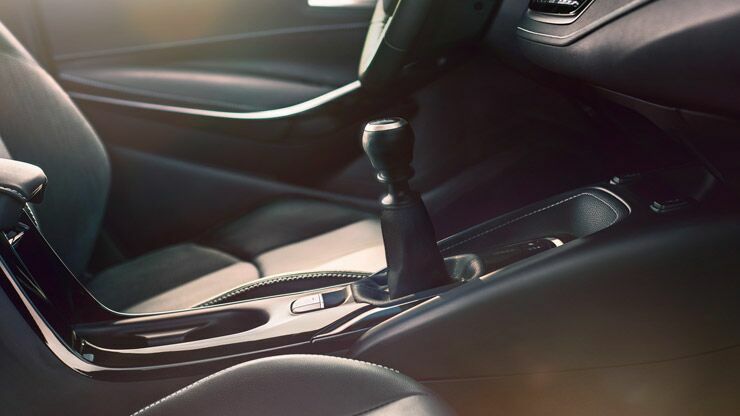 Toyota vehicles are known for providing their owners with industry-leading safety features, and the 2019 Corolla Hatchback is no exception. Every model of the all-new Corolla Hatchback has an extensive host of standard safety features at its beck and call. Included in this list, one will find Automatic High Beams, Road Sign Assist, Pre-Collision System with Pedestrian Detection, Lane Departure Alert with Steering Assist and Road Edge Detection, and Dynamic Radar Cruise Control. Entune™ 3.061 Audio with App Suite61 — includes six speakers, 8-in. touch-screen, AM/FM, Scout® GPS Link38 compatible with 3-year trial, Siri® Eyes Free,45 Apple CarPlay™59 compatible, Amazon Alexa54 compatible, auxiliary port, USB 2.0 port51 with iPod®52 connectivity and control, hands-free phone capability, advanced voice recognition37 and music streaming48 via Bluetooth®48 wireless technology. 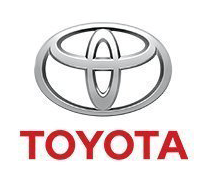 Entune™ 3.061 Toyota Connected Services — Safety Connect®35 with 3-year trial and Wi-Fi Connect Powered by Verizon49 with up to 2GB within 6-month trial. Access to Entune™ 3.061 App Suite is subscription-free. See toyota.com/entune for details. Safety Connect®35 — includes Emergency Assistance, Stolen Vehicle Locator, Roadside Assistance and Automatic Collision Notification. Available by subscription. (Complimentary 3-year trial subscription.) See toyota.com/safety-connect for details.